Stop-Snoring Therapies – What are they? Stop Snoring therapies consist of sprays, drops, and pills that are said to help relieve snoring. A lot of people use them because they’re super-easy to take, and because they don’t require you to use a mouthpiece or anything like that. They do, however, come with their own sets up benefits and downsides. Remember that you should always do a thorough amount of research before putting anything into your body! There are a lot of stop snoring therapies out there that are safe and effective – but there are also many that have never been tested in a clinical setting. Always make sure to do your homework before purchasing an over-the-counter sleep aid if it consists of something that you’ll be ingesting, like a pill or a spray. 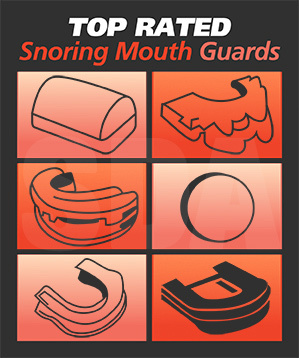 Top snoring therapies work in different ways. The pills generally aim to temporarily ‘shrink’ loose tissue in the soft palate – which is where most snoring problems begin. The drops are often used as aroma-therapy, and are made from essential oils and other natural ingredients. These are generally applied to the neck and/or the lip, and must be inhaled throughout the night in order to be effective. Most anti-snoring sprays aim to stop snoring by temporarily lubricating the back of the throat. This is intended to help stop vibrations, and to help the air move-through the airway without creating as much noise. Stop snoring therapies come with many benefits – which are almost as varied as the products that make up this category. But if you were to summarize them, they would all tend to have these in common. First of all, stop-snoring therapies are easy to use. They don’t require you to have to keep anything in your mouth over the course of the night, and you can pretty much ‘use them and forget about them’ whenever it’s time to go to bed. Second, they’re a great possibility for people with dentures, because MADs cannot normally be used in such circumstances. The biggest downside to these types of products is that you need to continue to buy them to use them. This is different from MADs, which only require you to buy one device and use it for several months before you’ll need a replacement. With that being said, some of these therapies also tend to be quite expensive when you add up how much they’ll cost over the course of a year. These types of products might not be able to stop every case of snoring, either. Since they’re not physically influencing the shape of the mouth or throat to any great ‘functional’ degree, they simply may not possess the kind of strength that you need (in such cases, an MAD or a tongue retaining device would probably work better). Should you use a stop snoring therapy? If you suffer from snoring, don’t want to buy a device, and are not interested in an anti-snoring pillow – then yes, a stop snoring spray or supplement might be an awesome idea for you. You might also want to use this method if you’re tired of dealing with a lot of extra steps in regard to your snoring. When shouldn’t you use one of these therapies? You might find that some of these products simply don’t do the trick with some cases of snoring. In such cases, you’re likely to find that more advanced devices will do a better job. Attention! You may also want to stay away from these types of products if you’re allergic to any of the ingredients. This type of problem is very unlikely – but whenever you’re ingesting a medicinal product, it’s important to be aware of what you’re putting into your body and how it could be affecting you. Stop Snoring Therapies can be a fantastic answer to snoring in some cases. One great thing about them is that they’re usually very inexpensive to try – so giving it a shot probably won’t hurt anything, won’t cost very much, and may do a lot to help you gauge whether or not the product might work for you.